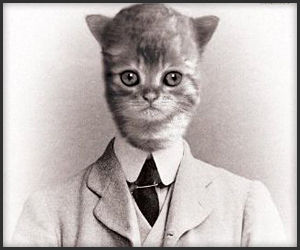 Thus begins the Meowmorphosis by Coleridge Cook– a quirky parody on Kafka’s magical realism novel, Metamorphosis. Although superficially Cook’s story parallels Kafka’s, in more substantial terms it differs significantly and it is through these differences that I wish to investigate what I perceive is one of the most important purposes of magical realism and how such purpose can be best achieved. According to Maggie Ann Bowers (20–21), what is meant by the term magical realism is in dispute and can be best resolved through careful delineation of both the terms “magic(al)” and “realism”. The foundation of “realism” rests on Descartes’ proposition that truth is that which can be discovered through sensory perception (Bowers, 21). In other words, truth is established in the mind’s reconstruction of it (Dupré, 80). From the mid-18th century onwards, Cartesian thinking has dominated Western perceptions of the world. However, once, a long time ago, men held a more holistic view in which form and meaning were unified in the single – albeit complex – kosmos – the ordered totality of being (Dupré, 15-19). I suggest that the term “magic(al)” which Bowers defines as the assumption that extraordinary things have really happened (Bowers, 21) is in reality a return to kosmos where the realm of appearances yields no genuine knowledge but only opinion (Dupré,18). Clearly these two worldviews are at odds. However I suggest that through their fusion (i.e. returning full circle to kosmos), magical realism authors achieve one of their primary (postmodern) aims – to challenge the assumptions upon which the establishment ‘truth’ is constructed. In this regard, the purpose of magical realism is similar to that of the postmodern sublime which, according to Jean-François Lyotard, depicts the un-representable as outside the realm of perception in order to keep the focus on within rather than without so as to provide insight about how one perceives his world (Lutzker). According to postmodern concepts of the sublime, we establish boundaries through cosmologies or a “fitting order” (Angelo, 16). The sublime (as does, I suggest, magical realism) requires a certain type of cosmology–a psychologically spatial orientation of something that is “me” and something that is “other than me” (Angelo, 17). It is through the shift between this microcosm and macrocosm and back again that one enlarges her perspective. Thus I suggest that the greater the disparity between me/realism and other than me/magic, the more effective is magical realism in encouraging readers to search for the narrative clues that will broaden their horizons. Conversely, the less disparity, the more likely readers are to accept the authorial perception of truth without question. So how do Kafka and Cook stack up? In both their novels, readers are confronted with a typical magical realism ploy. In the “real” world men do not wake up in the morning having been ‘magically’ transformed into animals. Similarly, in both novels all the characters do not question that such things are possible. Disparity for certain. However, while in Kafka’s story, Gregor becomes a cockroach (or in the German literally an “unclean animal not suitable for sacrifice”), in Cook’s version, he becomes an adorable kitten. The image of a cockroach is truly disgusting. We expect bad things to happen and we are not disappointed. By choosing the cockroach, Kafka has established an immediately disparaging and depressing link between his imagery and his overall theme – the risks and rewards of an individual’s conformance with the demands of society. Cockroaches are lowly creatures indeed. One can be pretty certain how a cockroach will fare. Not much disparity there. Alternatively, to explore the same theme, Cook has chosen an extremely pleasant image–an adorable kitten. Here, readers are not certain what to expect. Although cockroaches are easily understood as being something to be squashed underfoot, kittens are not. Indeed in many societies it is just the reverse. Yet somehow the reader has a niggling fear that things will not work out well. Elsewise why would he be reading the novel? If the aim of magical realism is to broaden readers’ horizons through disparity, then surely the more challenged the reader is to unravel the narrative’s mystery, the more challenged are their cherished assumptions about ‘truth’? Equally, by choosing the image of a furry kitten, I suggest that Cook has made sounder use than Kafka of Gregor’s treasured picture of the woman in the fur coat. It is commonly believed that this picture is a metafiction alluding to Sacher-Masoch’s sadomasochistic novella, Venus in Furs and while Kafka provides few, if any, clues as to why this would enhance his theme, Cook provides them in aces. By introducing an adorable furry kitten that is both the willing and unwilling subject of serious petting by his sister, Cook shines a direct spotlight on Gregor’s potentially incestuous relationship. Might it be that like the hero in Venus in Furs, Gregor is so infatuated with his sister that he has become her slave and this is the reason he encourages her to treat him in progressively more degrading ways? Does he…(you know what)… or doesn’t he…? Uggh. Plenty of delightfully dark disparity here. Finally, it is Gregor’s escape from and subsequent return to, his family after his trial by the other cats of Prague (during which he confronts his cowardly ways), which I suggest provides the most insight about Gregor’s ordeal. While such an extended internalized character exposé (it goes on for twenty or so pages) might be seen as a weakness in that it leaves less to the reader’s imagination, I welcome it. In my view it is only because Gregor finally takes an active decision that we can understand, that we can believe that he is for “real”. In summary, when Gregor becomes a cockroach, it’s easy for readers to fall into the lull of yet another rant in support of victims of societal politics. 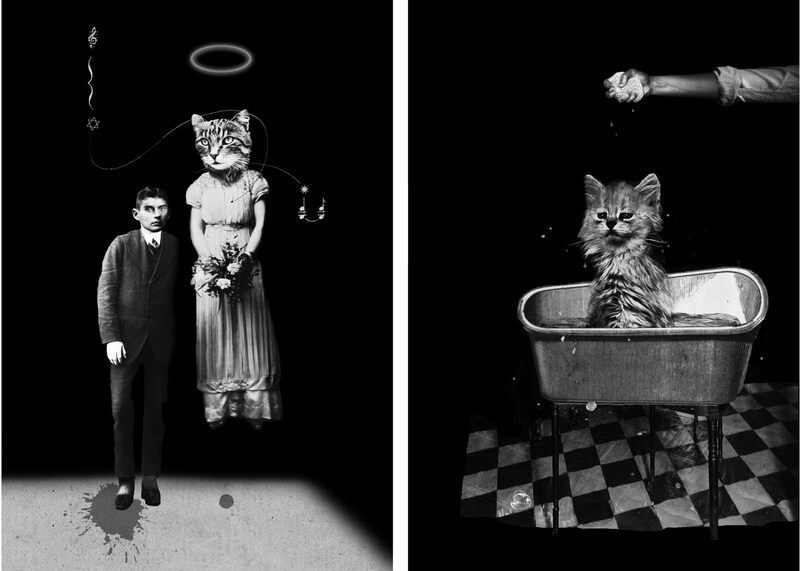 However if one of the most important aims of magical realism is to challenge our automatic perception of “truth”, then I suggest that Cook bests Kafka through utilizing the gloriously incongruous imagery of an adorable, furry kitten who, however OMG cute, possesses a “truly” tortured soul. Angelo, Marie. “Placing the Sublime: Cosmology in the Consulting Room” (15-45). On the Sublime in Psychoanalysis, Archetypal Psychology and Psychotherapy. ed. By Petruska Clarkson. London: Whurr Publishers Lit., 1997. Bowers, Mary Ann. Magic(al) Realism. London: Routledge, 2004. Butler, Christopher. Postmodernism-A Very Short Introduction. Oxford: Oxford University Press, 2002. Cook, Coleridge and Franz Kafka. The Meowmorphosis. Philadelphia: Quirk Books, 2011. Dupré, Louis. Passage to Modernity – An Essay in the Hermeneutics of Nature and Culture. New Haven: Yale University Press, 1993. For an example, the French post-modernist Jean Baudrillard suggests that ‘hyperreal’ art stimulates audiences to evaluate reality through ‘self-seduction’. So when faced with Disneyland imagery, the aesthetic response requires Americans to question whether this or their own lives represents the ‘real’ America (Butler, 112). thanks – US tax season got the better of me! I got what I hope was my last two tax returns for clients out yesterday and now have tendinitis so every mouse click hurts like hell!